3 Days / 2 Nights: Our Ft Myers self-guided tour has a little of everything. For three days you’ll ride on mostly scenic back roads with little traffic from the Atlantic Ocean to one of the best beaches on the Gulf of Mexico, Ft Myers Beach. You can enjoy the beautiful beach and visit the Thomas Edison and Henry Ford Museums. The next night you’ll spend in an authentic Florida dude ranch nestled in one of the few untouched pieces of Florida wilderness with a multitude of recreational activities. Then you’ll ride by Lake Okeechobee, the second largest lake in the continental United States. Stop and check out the lake and the boat locks at Port Mayaca. Call us at 561-837-1032 to make your reservation. In the morning you’ll pick up your bikes at RMM in Palm Beach. You’ll ride west towards Lake Okeechobee, the second largest lake in the continental USA. Most of the riding will be done on back roads with little traffic. You’ll be riding through farms and small towns and finally across the state to Ft. Myers on the Gulf Coast. Ft. Myers was the winter homes of Thomas Edison and Henry Ford and you’ll be able to tour the Edison and Ford Museum. Lots of back roads today as you travel north towards Central Florida. You’ll visit small towns like Arcadia and Zolfo Springs and see lots of pristine nature areas on your way to Lake Wales. Enjoy the beauty of Bok Tower, it’s a National Historic Landmark, garden, and bird sanctuary.The tower is built upon Iron Mountain, one of the highest points in Florida, estimated to be 295 feet (90 m) above sea level. You’ll stay overnight at a western ranch near Lake Wales. It’ll be your opportunity to go horse back riding, an airboat ride or many of the other activities. 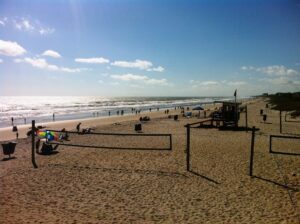 3 Days / 2 Nights: Our Cocoa Beach self-guided tour is three days of sun and fun. You’ll ride on mostly scenic back roads with little traffic through central Florida to an authentic Florida dude ranch nestled in one of the few untouched pieces of Florida wilderness. 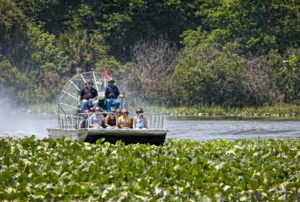 You can go horse-back riding, go on an airboat ride or many other activities available. The next day you’ll ride to Cocoa Beach. Visit Kennedy Space Center, go on a casino cruise, take a surfing class or just hang out at the beautiful beach. On the way back you’ll ride back on famous A1A and enjoy the scenery and the beautiful beaches. In the morning you’ll pick up your bikes at RMM in Palm Beach. You’ll ride west towards Lake Okeechobee, the second largest lake in the continental USA. 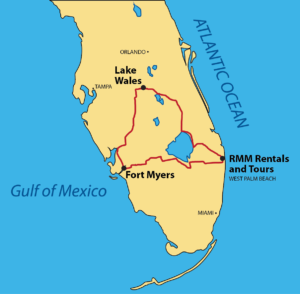 The ride on the east side of the lake is beautiful and there will be a number of stops like Port Mayaca and enjoy the scenery, Then its off to the city of Okeechobee and north through some horse farms and cattle ranches to Lake Wales. Enjoy the beauty of Bok Tower, it’s a National Historic Landmark, garden, and bird sanctuary.The tower is built upon Iron Mountain, one of the highest points in Florida, estimated to be 295 feet (90 m) above sea level. You’ll stay overnight at a western ranch near Lake Wales. It’ll be your opportunity to go horse back riding, an airboat ride or many of the other activities available. Today you’ll be riding through some pristine nature areas on the way to Cocoa Beach, home of one of the largest surfing shops in the USA – Ron Jon’s Surf Shop. You’ll have plenty of time to enjoy the beautiful beach, go swimming or even take a surfing class. There’s also Kennedy Space Center, The Brevard Zoo or go on a casino cruise where you can play slots, poker, craps, roulette and blackjack. 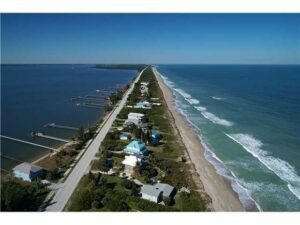 From Cocoa Beach you’ll enjoy a ride south on famous A1A and enjoy the beautiful scenery and the beaches through Melbourne, Vero Beach and Ft. Pierce. Then you’ll head out west again to avoid all the traffic on your way back to RMM to drop off your bikes at RMM. 4 Days / 3 Nights: Our four day self guided tour to Naples, Key West and Miami Beach will be an unforgettable adventure. Lots of back roads, little traffic, beautiful beaches and spectacular scenery awaits you. You’ll stay overnight in Naples, you’ll be able to see the beautiful sunset in the Gulf of Mexico, go to Tin City or River Walk. 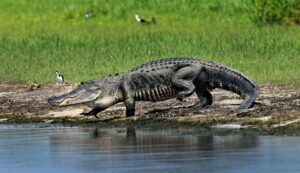 Ride through the middle of the Florida Everglades, stop to see an Everglades photography museum and maybe see a few gators along the way. Ride on the famous Overseas Highway on the way to Key West for your overnight stay. 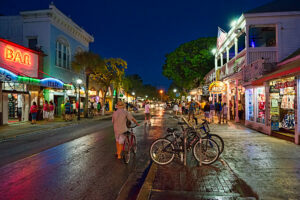 There’s lots of fun and activities to be had in Key West. The next day you’re off to famous Miami Beach. With it’s clear blue waters, white sandy beach and the best people watching in the world. You’re going to have a fabulous time. Pick up your bikes at RMM in Palm Beach. You’ll ride west towards Lake Okeechobee, the second largest lake in the continental USA. You’ll ride through farms, ranches and small towns like Clewiston and La Belle on back roads with very little traffic. 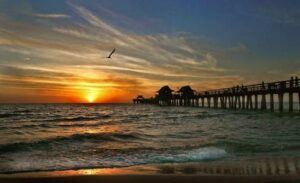 You’ll arrive in the evening in Naples, on the Gulf coast of Florida. You’ll get a chance to enjoy the area attractions like Tin City, Riverwalk, Bayfront Place and the Naples Pier on the Gulf of Mexico. The beach in Naples is more than 10 miles (16 km) long and is noted for its cleanliness and pristine white sand. In 2005, Naples was voted the best beach in America by the Travel Channel. 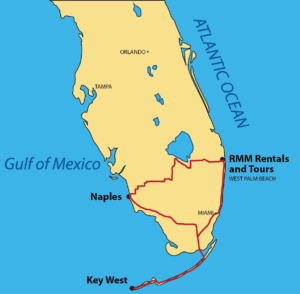 You’ll be riding east today on a scenic road through the middle of the Florida Everglades and into the Florida Keys. From there you’ll ride on the beautiful Overseas Highway with the Atlantic Ocean on one side the the Gulf of Mexico on the other. 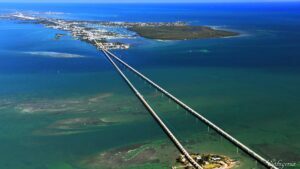 You’ll ride across dozens of bridges including the famous Seven Mile Bridge, there are lots of scenic stops along the way then you’ll arrive in Key West for an overnight stay. There’s lots to do in Key West, go on a scenic dinner cruise, go snorkeling or just hang out on Duval Street and watch the world go by. You’ll be riding back on the Overseas Highway so whatever you missed on the way to Key West you can see on the way back and on to Miami’s South Beach. The clear blue water and white sand beach are a must see. South Beach has been called the American Riviera and an art deco playground. 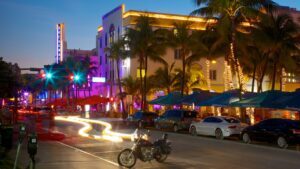 South Beach offers and eclectic mix of world-class boutiques, galleries and stores. At night, it comes alive with crowds ready to go out and have a world-class evening out. You’ll be riding to Ft. Lauderdale today on beautiful A1A. With its makeover from a college student mecca to a tonier clientele complete, Ft. Lauderdale has been transformed into a beach chic destination. 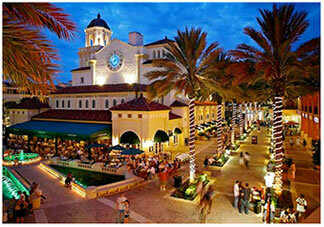 Ride on famous Las Olas Blvd, known for it’s casually chic shopping and dining scene. From there it’s to Palm Beach to drop off the motorcycles at RMM.